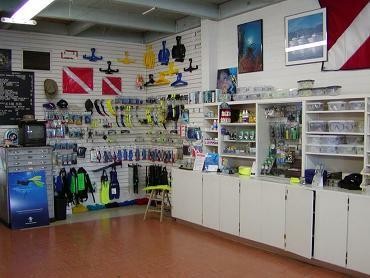 Howell’s Dive Shop is Redding’s one-stop center for all your diving and mining needs. We’ve been helping divers in the Northern California area for over 55 years! Open at the original Redding location since 1952, Howell’s is one of the top five oldest dive shops in the United States. Bud and Ray Howell began diving the Sacramento River in Redding for gold in 1959, and became a Scubapro dive equipment dealer in 1963. In the years since, Howell’s has expanded their line to include the latest in diving and mining equipment, and is anxious to share this rich history with others seeking to explore the exciting underwater world. Howell’s is a Professional Association of Diving Instructors (PADI) Five-Star facility. We have four PADI certified dive instructors to fit your schedule, and can fulfill your training goals from open water through dive master certification. 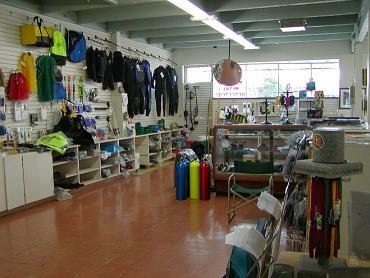 We offer a full line of diving equipment for sale or rental, including complete packages, at competitive prices. Our helpful and experienced staff will guide you in selecting equipment that will best meet your needs, goals, and budget. Due to our long history in the area and our familiarity with favorite dive sites, our staff can provide tips and recommendations on local diving. 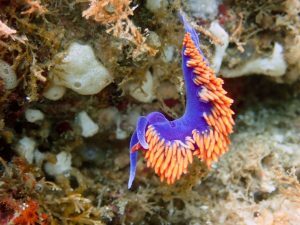 If your plans include live-aboard ocean diving, we offer at least one annual trip to the California coast. Howell’s would like to sincerely thank all our loyal customers for their support over the last 62 years as we look forward to continuing our rich tradition of excellent service. Please consider us for all your diving and mining needs!